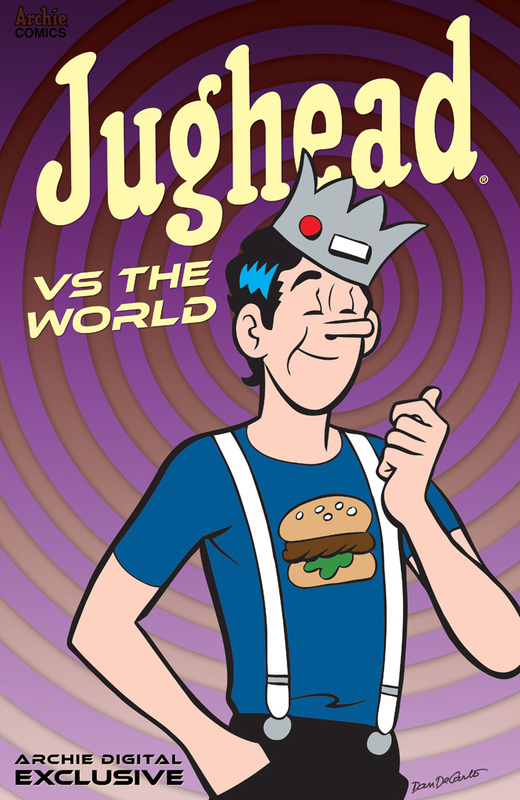 Home News It’s JUGHEAD VS. THE WORLD on the Archie Comics Podcast! It’s JUGHEAD VS. THE WORLD on the Archie Comics Podcast! In Episode 33 of The Riverdale Podcast – The Official Archie Comics Podcast, we talk about this week’s Archie Digital Exclusive Comic – JUGHEAD VS. THE WORLD! Click here to download Episode 33 of The Official Archie Comics Podcast! Subscribe to the The Riverdale Podcast – The Official Archie Comics Podcast on iTunes! archie comics podcast, riverdale podcast. Bookmark. Check out the Archie Comics September 2015 Solicitations!